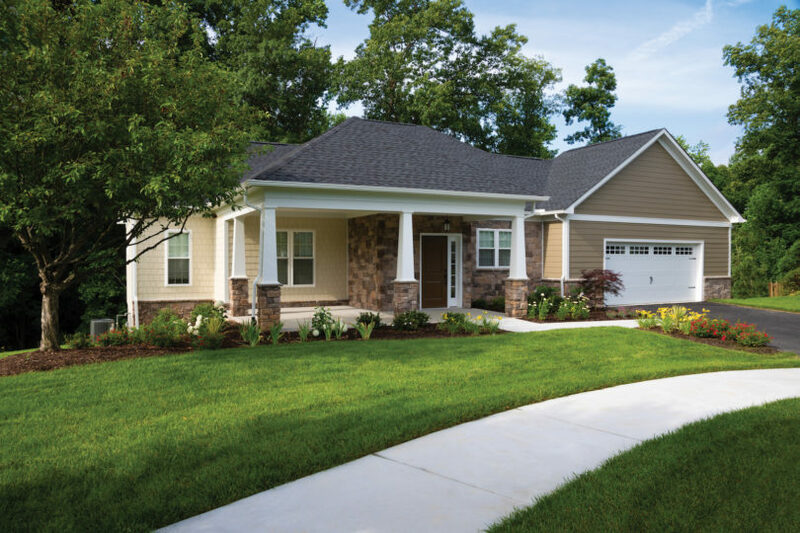 One of Covenant Woods newest cottages, the Poplar’s Craftsman-style design offers an open floor plan, a large kitchen, high ceilings, and plenty of space to make your next step. High windows provide an abundance of natural light throughout the cottage, while covered porches and patios extend your living spaces outdoors. In addition to a large family room, the Poplar offers the unique addition of an open, high-ceiling family room. Serve up guests at the large kitchen island, though if you don’t feel like cooking, the Brookview neighborhood is only a short walk or ride away from the amenities of both The Manor and The Lodge. Brookview residents also enjoy easy access to the five-acre pond and pond trail, which begins in the neighborhood. The Poplar also offers a 1.5-car garage, with room for a golf cart. From the floors to paint and kitchen appliances and cabinets, you get to pick all your own finishes. And of course, everything from the lawn to the HVAC is maintenance-free. Centrally located and only a short walk to the amenities of The Lodge and The Manor, Brookview’s single-family cottages are brand new as of 2018 and feature high ceilings, open floor plans, Craftsman-style architecture, and abundant storage. New residents choose their own finishes such as paint, countertops, flooring and cabinetry to match personal preferences. 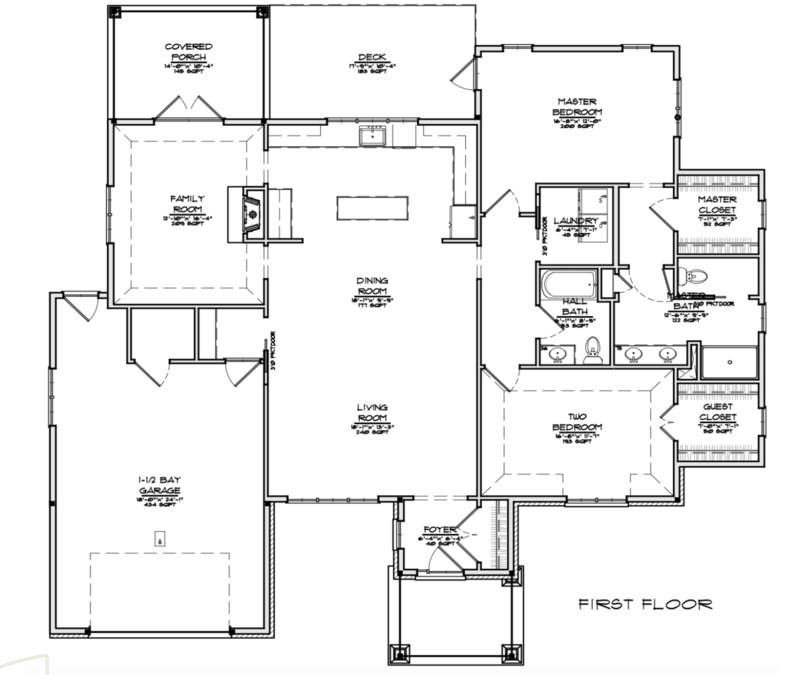 In addition to large living rooms, some floor plans feature den or home office spaces, optional sunrooms, and decks or screened-in porches. All homes offer a garage, and some with charging ports for golf carts for getting around the campus.